Love the sparkle and shine of gold? Bring on the bling and let the gold rain down on your precious muffin’s collar. The shimmery Sandy gold vegan leather collar may not be entirely made of gold but it looks just as good. The Sandy gold color sparkles and shines like twinkling stars on a dark night. It complements your dog’s twinkly eyes when he/she is begging you to go out for outside for a walk or just to enjoy the scenery. The white trim on the collar accentuates the spectacular gold shine while it also adds sportiness to the look. 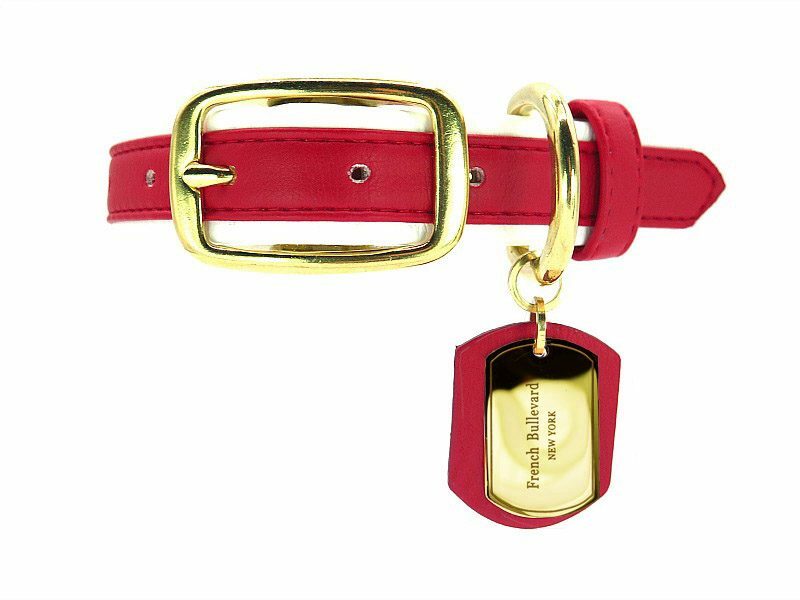 More gold is combined to this collar with the large gold plated tag. This gold plated masterpiece is engraved with high precision. 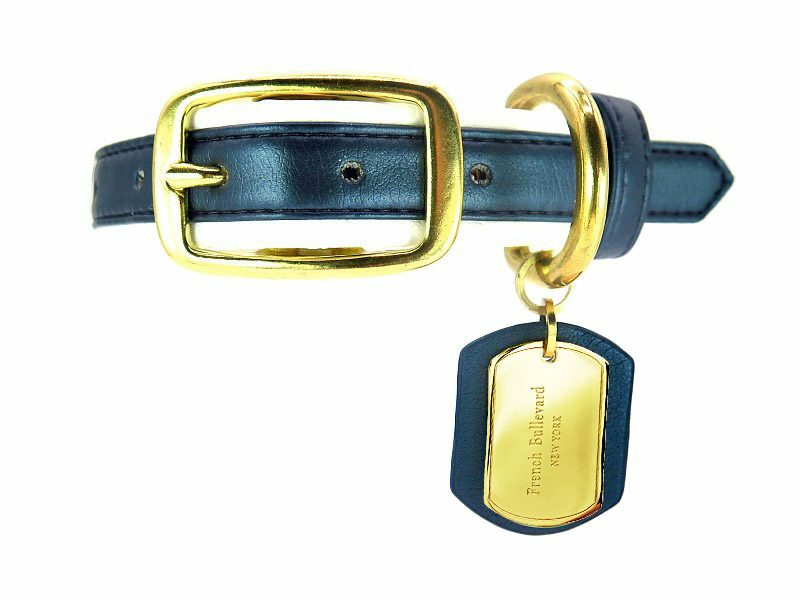 Added sparkle is provided by the meticulously picked brass hardware that enables customized collar adjustments. The Sport Chic MMXVII vegan leather dog collar is made of a patented, cruelty-free leather upholstery. The sumptuous leather-like fabric is made of nonwoven, nontoxic blend of vegan materials which is proudly free of animal products or by-products. Our eco-friendly dog leather collars are made with very low emissions. They don’t include vinyl, a plastic ingredient that is known to release extremely harmful dioxins into the air, both polluting the environment and creating a health hazard. Our dog leather collars are perfectly safe for you, your dog, and our environment. 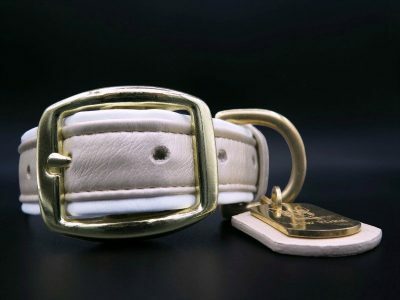 The dog leather collars contain no flame retardant materials or conflict minerals, are made with 99 percent recycled solvents, and are compliant with international standards. You can rest assured your dog is safe, comfortable, and environmentally conscious. 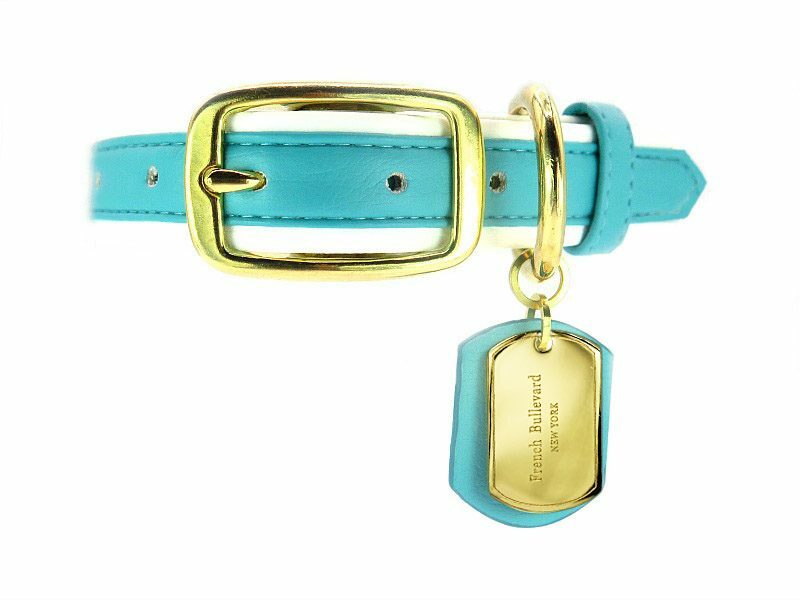 The Sport Chic MMXVII vegan leather dog collar boasts a beautiful, lustrous sheen and sleek feel just like conventional leather while featuring a waterproof fabric that is stink- and mold-proof. That means cleaning is easy and low maintenance. 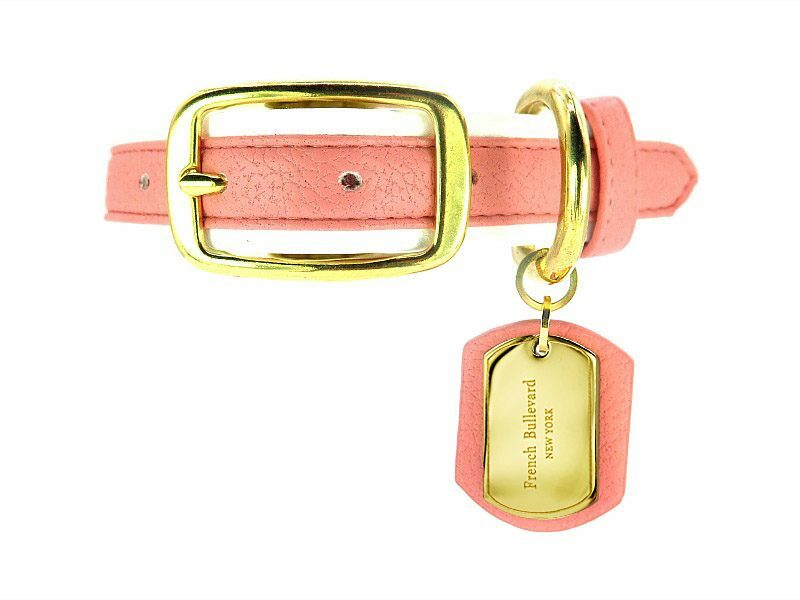 The color won’t fade either, so your dog’s vegan leather collar will still look fabulous through all kinds of use.